In October of last year, a company from Olympia came to B&OI with a cool project in a somewhat small space. The budget was set at around $25K and they had a few unique requests they wanted fulfilled. The original furniture they were hoping for, completely new, was very much out of their price range. However, the fun thing about B&OI is that we have a warehouse full of pre-owned furniture that we can reupholster and paint to make it look like new! A mix of new and pre-owned allowed them to get the solution they wanted at an amazing price in the color scheme they were hoping for. Additional enhancements were added, such as the glass window at the top of the panels and whiteboards on the exterior of the panels. 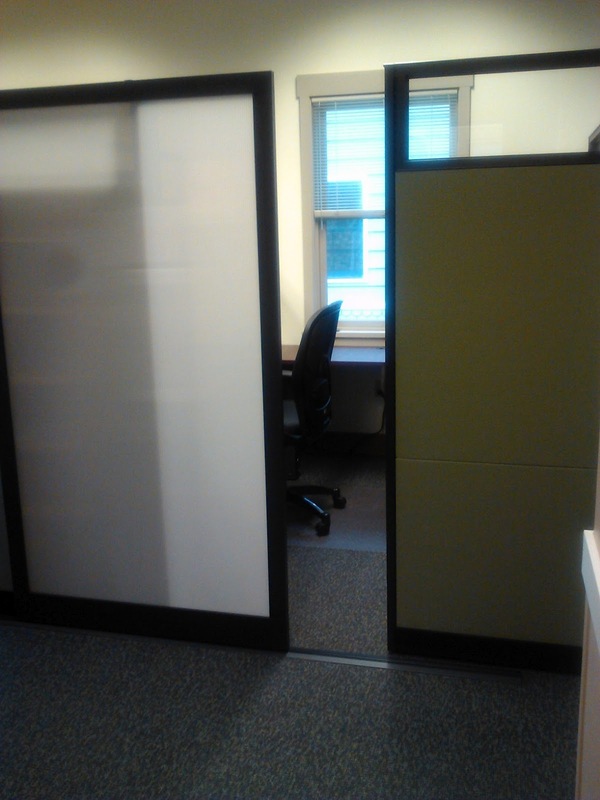 Their original offices were more of an open space style – so the addition of panels to cut back on noise was a hot button issue, as well as a sliding door feature to allow even further reduction of noise and interruptions. The group was very happy with the results of the project. B&OI provided design, delivery and installation, refurbishment, and project management with a fast turnaround of less than 2 months. The project officially started in October with a signing in mid-November with installation completed the last week of December. 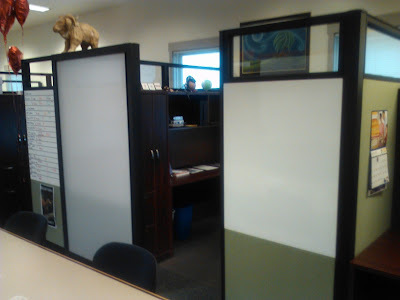 Beyond our amazing customer service, this is a great example of how you can use pre-owned furniture to create a successful and practical office space. Their budget was maintained because they were willing to take the old and the new – but you can achieve your ideal space with used furniture. Check out a few shots taken by the sales rep, Alonzo! He did such a great job! 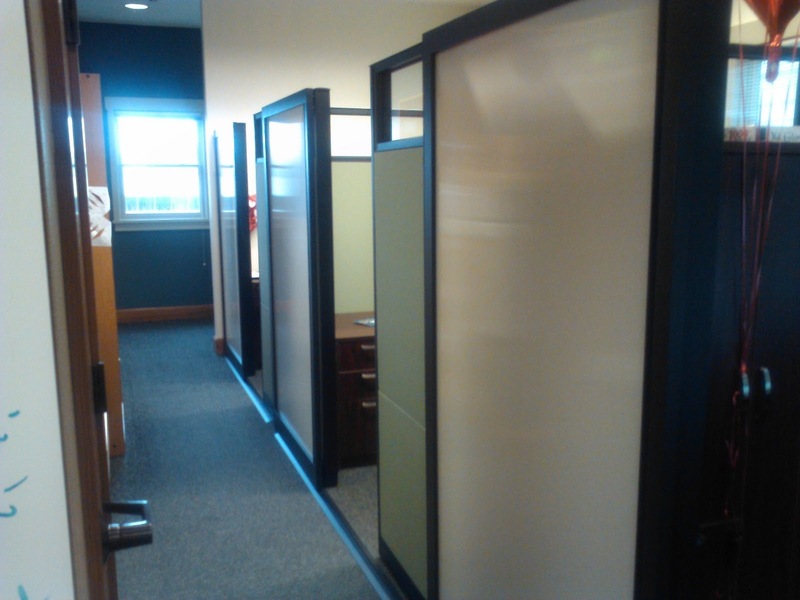 Glass panels, white boards on the wall!